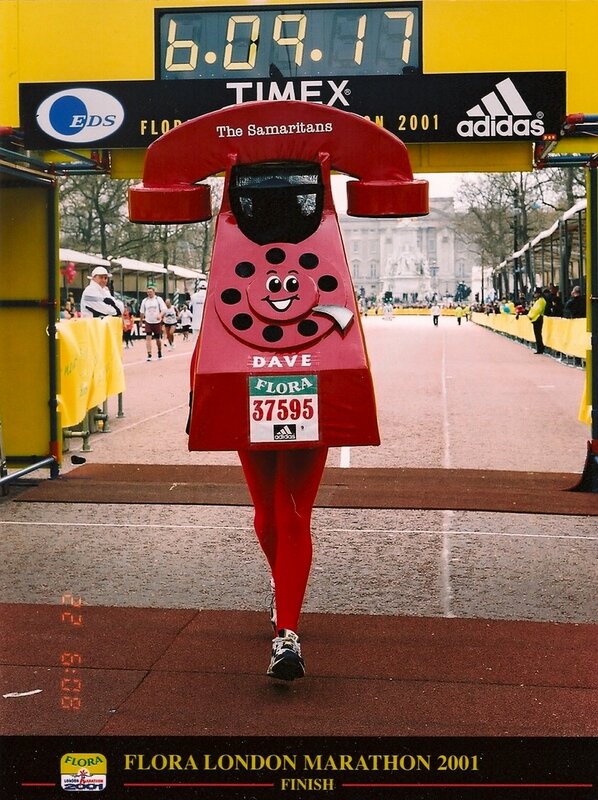 David Lock is running the London marathon in fancy dress as he always has but this year is extra special as it’s his 20th consecutive year running the marathon. This will also be his 50th marathon overall which we think is amazing. We at Dure interviewed him about these unbelievable achievements. What is it about marathons that keeps you coming back? DL: I love being part of a group of ordinary people doing something extraordinary, especially in London when I feel humbled by all of those running for such worthy causes. I love the quirky distance with the extra 385 yards. It never gets any easier and I love to test myself over the last 6 miles to see if my mind can continue to win in the battle with my body! Every marathon course is different and I love finding and running marathons that I have never run before. That said I can't imagine not running the London Marathon given that this year will be my 20th! What’s been your favourite costumes? 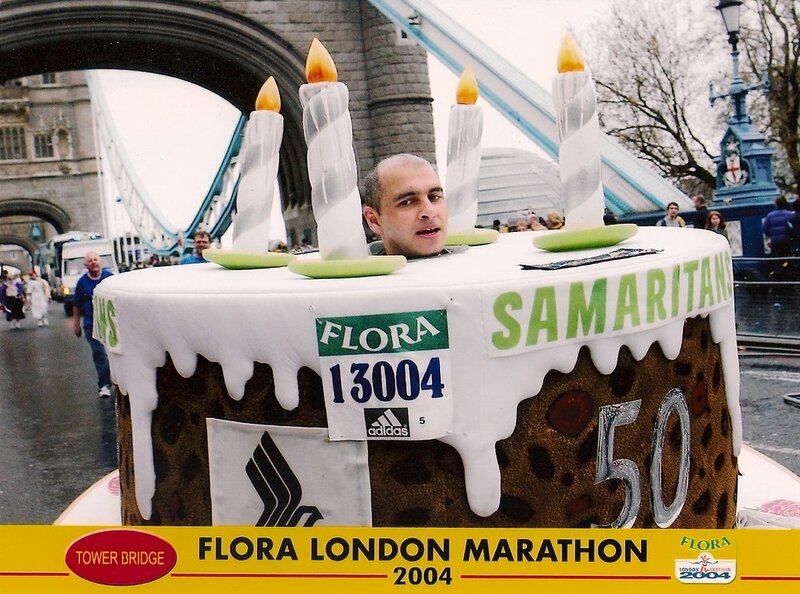 DL: Green telephone is my favourite but I also enjoyed running as a giant birthday cake in London Singaporein 2004. Are you looking forward to achieving your 20th and 50th milestones? DL: Yes, absolutely but I won't be stopping there as I want to get to 100 marathons. 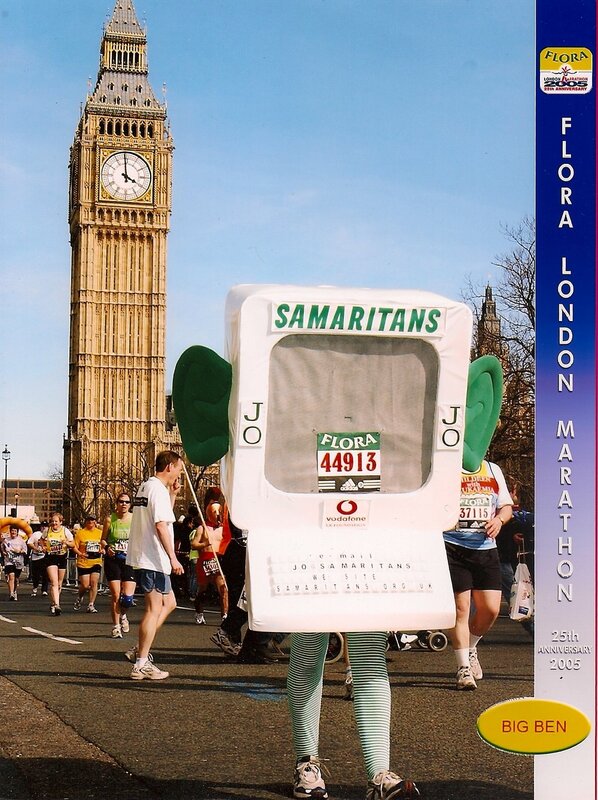 Why have you chosen Samaritans to run for? DL: Samaritans is very close to my heart. I was a listening volunteer which made me realise how important it is that we all have someone to listen to when life becomes difficult. The alarming increase in male suicides has reinforced my determination to use my green telephone to promote Samaritans. "Running to save lives" is my motto as well as putting a smile on the faces of everyone both watching and running with me. London Marathon day is very special for me as it is the one day of the year when everyone seems to be smiling - we need more of that every day!